As her father's chosen heir, 18-year-old Rasmira has trained her whole life to become a warrior and lead her village. But when her coming-of-age trial is sabotaged and she fails the test, her father banishes her to the monster-filled wilderness with an impossible quest: To win back her honor, she must kill the oppressive god who claims tribute from the villages each year or die trying. Seventeen-year-old Keralie Corrington may seem harmless, but she’s, in fact, one of Quadara’s most skilled thieves and a liar. Varin, on the other hand, is an honest, upstanding citizen of Quadara’s most enlightened region, Eonia. He runs afoul of Keralie when she steals a package from him, putting his life in danger. 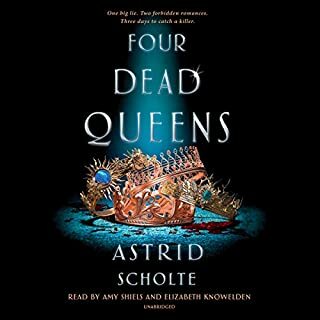 When Varin attempts to retrieve the package, he and Keralie both find themselves entangled in a conspiracy that leaves all four of Quadara’s queens dead. When Ari crash-lands on Old Earth and pulls a magic sword from its ancient resting place, she is revealed to be the newest reincarnation of King Arthur. 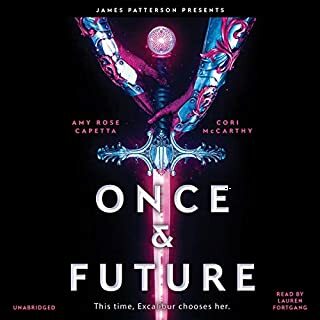 Then she meets Merlin, who has aged backward over the centuries into a teenager, and together, they must break the curse that keeps Arthur coming back. Their quest? Defeat the cruel, oppressive government and bring peace and equality to all humankind. Henrietta Howel can burst into flames. Forced to reveal her power to save a friend, she's shocked when, instead of being executed, she's invited to train as one of Her Majesty's royal sorcerers. Thrust into the glamour of Victorian London, Henrietta is declared the chosen one, the girl who will defeat the Ancients, bloodthirsty demons terrorizing humanity. She also meets her fellow sorcerer trainees. In modern-day New York, magic is all but extinct. The remaining few who have an affinity for magic - the Mageus - live in the shadows, hiding who they are. Any Mageus who enters Manhattan becomes trapped by the Brink, a dark energy barrier that confines them to the island. Crossing it means losing their power - and often their lives. Esta is a talented thief, and she's been raised to steal magical artifacts from the sinister Order that created the Brink. 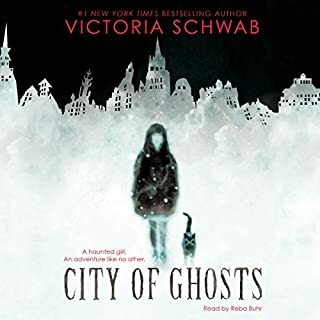 Kate Harker and August Flynn are the heirs to a divided city - a city where the violence has begun to breed actual monsters. All Kate wants is to be as ruthless as her father, who lets the monsters roam free and makes the humans pay for his protection. All August wants is to be human, as good-hearted as his own father, to play a bigger role in protecting the innocent - but he's one of the monsters. One who can steal a soul with a simple strain of music. After escaping a harsh school where punishment was the lesson of the day, 17-year-old Louisa Ditton is thrilled to find employment as a maid at a boardinghouse. But soon after her arrival at Coldthistle House, Louisa begins to realize that the house's mysterious owner, Mr. Morningside, is providing much more than lodging for his guests. Far from a place of rest, the house is a place of judgment, and Mr. Morningside and his unusual staff are meant to execute their own justice on those who are past being saved. One thousand years ago, the great Kami Dragon was summoned to grant a single terrible wish - and the land of Iwagoto was plunged into an age of darkness and chaos. Now, for whoever holds the Scroll of a Thousand Prayers, a new wish will be granted. A new age is about to dawn. Thirteen-year-old Jack Buckles is great at finding things. Not just a missing glove or the other sock but things normal people have long given up on ever seeing again. If only he could find his father, who has disappeared in London without a trace. But Jack's father was not who he claimed to be. It turns out that he was a member of a secret society of detectives that has served the crown for centuries - and membership into the Lost Property Office is Jack's inheritance. A girl who can speak to gods must save her people without destroying herself. A prince in danger must decide who to trust. A boy with a monstrous secret waits in the wings. Together, they must assassinate the king and stop the war. 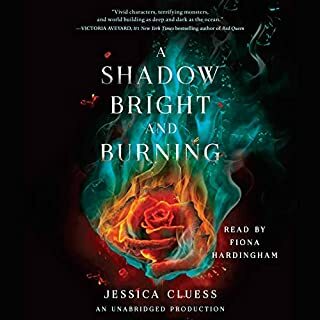 In a centuries-long war where beauty and brutality meet, their three paths entwine in a shadowy world of spilled blood and mysterious saints, where a forbidden romance threatens to tip the scales between dark and light. This program includes a bonus interview with the author. Paris, 1889: The world is on the cusp of industry and power, and the Exposition Universelle has breathed new life into the streets and dredged up ancient secrets. In this city, no one keeps tabs on secrets better than treasure-hunter and wealthy hotelier Séverin Montagnet-Alarie. But when the all-powerful society the Order of Babel seeks him out for help, Séverin is offered a treasure he never imagined: his true inheritance. 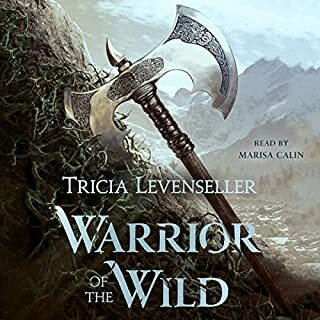 Raised to be a warrior, 17-year-old Eelyn fights alongside her Aska clansmen in an ancient rivalry against the Riki clan. Her life is brutal but simple: train to fight and fight to survive. Until the day she sees the impossible on the battlefield - her brother, fighting with the enemy - the brother she watched die five years ago. Eelyn loses her focus and is captured. Now, she must survive the winter in the mountains with the Riki, in a village where every neighbor is an enemy, every battle scar possibly one she delivered. London, April 1812. Eighteen-year-old Lady Helen Wrexhall is on the eve of her debut presentation to the Queen. Her life should be about gowns and dancing, and securing a suitable marriage. Instead, when one of her family's housemaids goes missing, Lady Helen is drawn to the shadows of Regency London. There, she finds William, the Earl of Carlston. He has noticed the disappearance, too, and is one of the few who can stop the perpetrators: a cabal of powerful demons that has infiltrated every level of society. not for ages 11-13 as indicated. Heidi Heilig's debut teen fantasy sweeps from modern-day New York City to 19th-century Hawaii to places of myth and legend. Sixteen-year-old Nix has sailed across the globe and through centuries aboard her time-traveling father's ship. But when he gambles with her very existence, it all may be about to end. 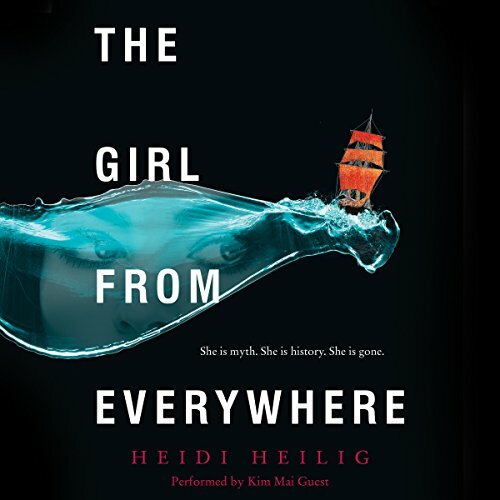 The Girl from Everywhere, the first of two books, blends fantasy, history, and a modern sensibility. Its witty, fast-paced dialogue, breathless adventure, multicultural cast, and enchanting romance will dazzle readers of Sabaa Tahir, Rae Carson, and Rachel Hartman. Nix's life began in Honolulu in 1868. Since then she has traveled to mythic Scandinavia, a land from the tales of One Thousand and One Nights, modern-day New York City, and many more places both real and imagined. As long as he has a map, Nix's father can sail his ship, the Temptation, to any place, any time. But now he's uncovered the one map he's always sought - 1868 Honolulu, before Nix's mother died in childbirth. Nix's life - her entire existence - is at stake. No one knows what will happen if her father changes the past. 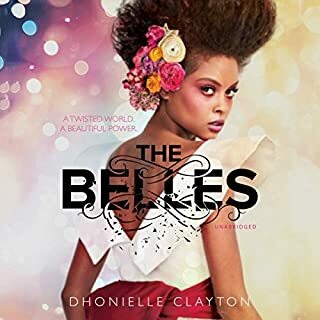 It could erase Nix's future, her dreams, her adventures...her connection with the charming Persian thief, Kash, who's been part of their crew for two years. If Nix helps her father reunite with the love of his life, it will cost her her own. The story was simply wonderful and the performance was good, until the Hawaiian words were introduced. I was appalled by the lack of preparation by the reader for proper pronunciation of the language. Living in Hawaiʻi and working with the language daily made me more frustrated. I would have stopped listening if the story was poor. Please, take this review to performers and make sure they understand that they are performing. It only a story, but honoring a culture. I was really hoping for a more adventurous story. I wanted to come aboard the ship & go to lands & times not known to me. No Bueno. To be honest, the book was a bore. Would you try another book from Heidi Heilig and/or Kim Mai Guest? This reader should have consulted with the author or someone knowledgable of the Hawaiian language, because her enunciation sucked! Seriously, it was difficult to listen to. The detail of the ship and Nix's surroundings put me directly into the story. And having ready some of the legend/myths that had been woven into the story made it even more intriguing. Heidi made me want to jump on a boat and sail to places I haven't been, especially Hawaii. And having a touch of romance didn't hurt, but I promise light. I definitely recommend this story. The mispronunciations of the Hawaiian words was extremely painful to listen to. This is the third audible book I’ve listened to that horrendously mispronounces Hawaiian words. I would recommend this book for any middle or high schooler to READ, not listen to. The story has wonderful historical references that open up possible discussions on each event brought up in the book. I'm not the target audience for this book. I downloaded it because the author was a friend of a friend and listened to it during a semi-cross country trip. With most audible books, I take a break and check out other work. This story was too intriguing for me to stop. The character relationships are believable, the locales exciting, and the plot unique and enjoyable. I strongly recommend this book to lovers of travel, adventure, romance, and an exploration of addiction and strained family ties. In short- pick it up! I think this will be my new favorite book for quite a while. Enchanting story, endearing characters, all around a wonderful story. Very beautifully written book! would recommend to read. It kept you wanting to keep listening.